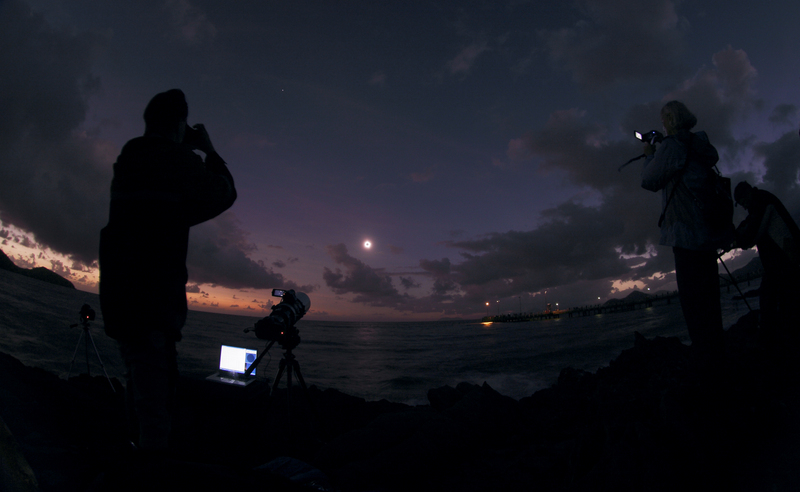 Please post your November 2012 solar eclipse images here. Those viewing the thread: this thread will be updated several (or many!) times over the next few days. Check back to see the latest images! Yesterday I took some small coffee sizing screens and layered them, photographed the eclipse images, then made this montage. 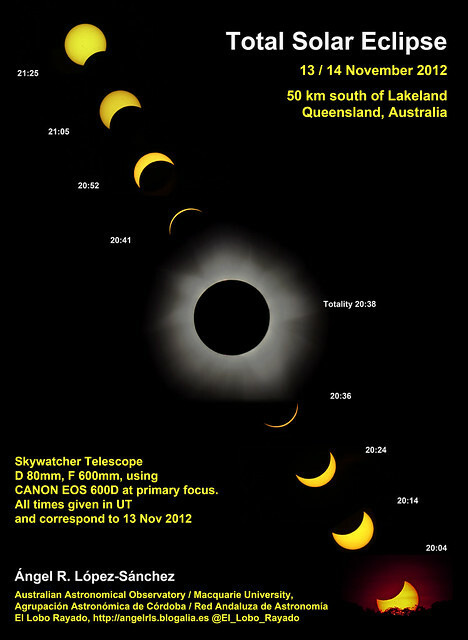 My sequence of the Total Solar Eclipse on 13 / 14 November 2012. Observed 50 km south from Lakeland, Queensland, Australia. I used a Skywatcher D 80mm, F 600mm, Telescope, with a CANON EOS 600D at primary focus. All times given in UT and correspond to 13 Nov 2012. 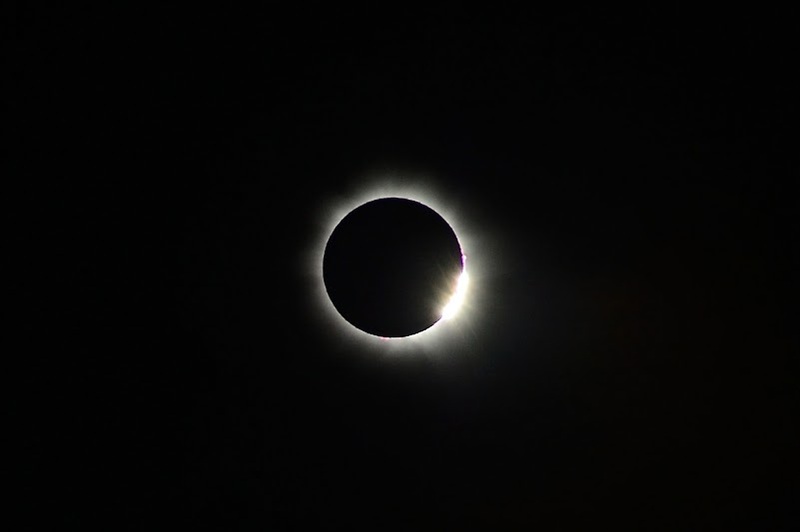 This version of the poster includes a HDR image of the totality. Agrupación Astronómica de Córdoba / Red Andaluza de Astronomía). Here is the view seen by the X-Ray Telescope aboard Hinode, whose orbit passed through the moon's shadow twice for this event. Visit our main site for more information, and be sure to set the resolution to 720p if your connection will allow! people and streetlights on the peer. Recorded with fisheye lens at the northern part of Palm Cove Beach. 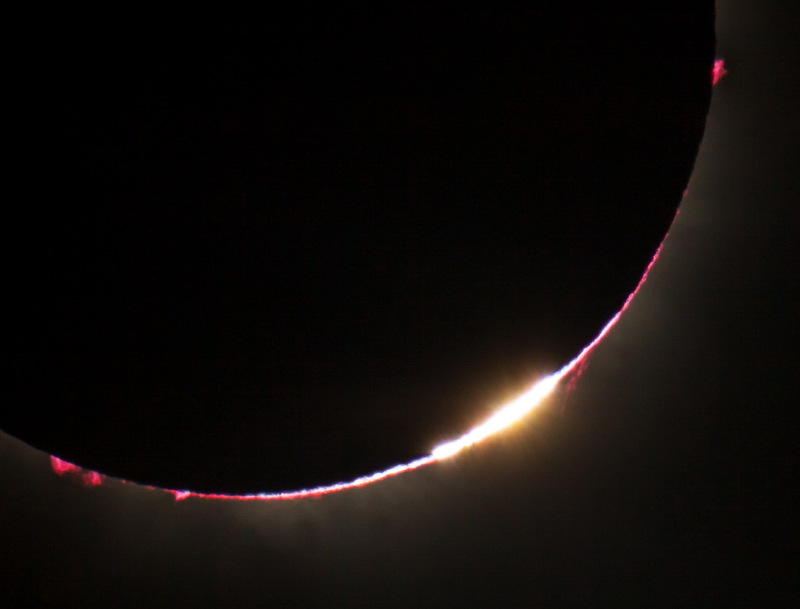 Here's a composite I took of my very first Total Solar Eclipse experience. We went to Mareeba (about 1 hour West of Cairns) where the skies were clear. I was completely blown away by the experience and could not believe the photos I managed to get. All I can say is planning and preparation paid off! 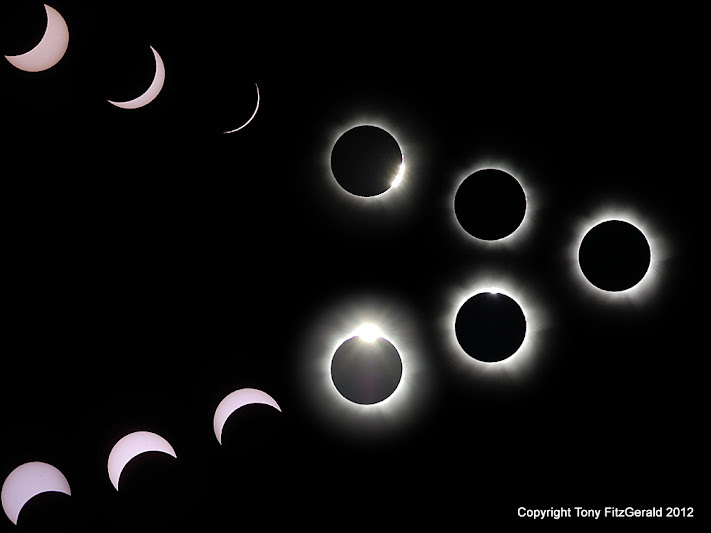 Here are two images we had the time to make during the first partial phase of the total solar eclipse. 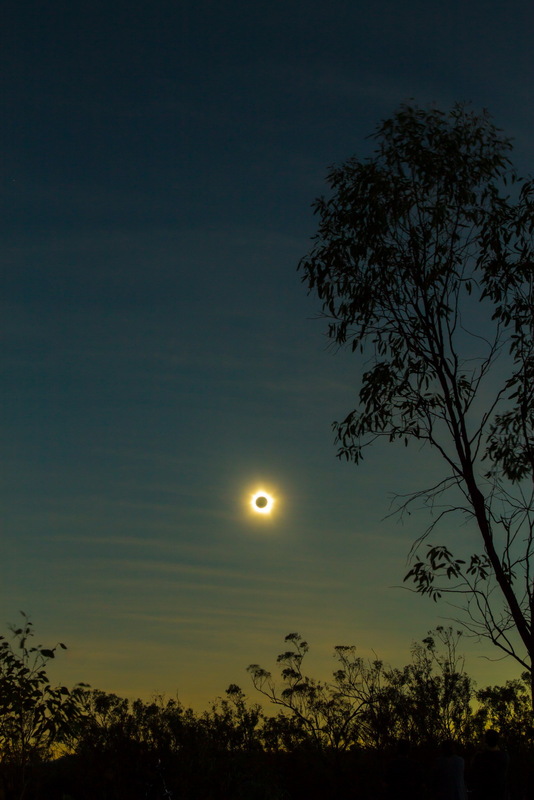 Taken from Palm River Roadhouse Queensland where the sky was clear and gave us on of the most spectacular eclipses of our lives! One image was made through Peg's binoculars and the second one through the usual solar eclipse shades.